Bring back your confidence and set free your smile with our range of cosmetic procedures. We all know that some of life’s ‘guilty pleasures’ can have an adverse affect on the colour of our teeth. That early morning cup of coffee or mug of tea, that evening glass of red wine or regularly smoking can cause discolouration over time that can make you feel self conscious about the colour of your teeth. An easy, harm free way of regaining or maintaining those pearly whites is tooth whitening at Shine Dental. 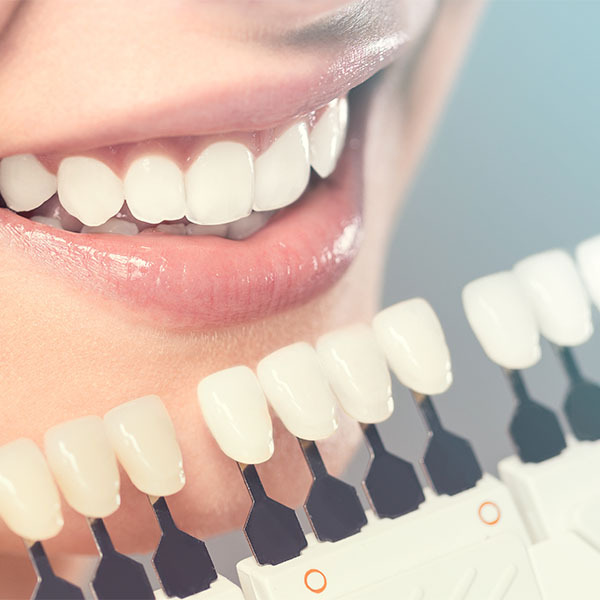 We offer a gentle, non invasive treatment of tooth whitening that is designed to whiten your teeth at your own pace. We can brighten your smile and lift those stains to help you regain confidence back in your smile. Our affordable tooth whitening system is carried out using custom made trays from Shine, you will then be given a one on one session of how to use your bleaching kit at home and be rest assured you will leave Shine feeling confident and excited to get started with your home bleaching kit. We advise using a lower concentrated bleach that is believed to have the best long term effects and protect your teeth from the severe sensitivity that can be caused by other forms of teeth whitening. Veneers are used to improve the colour, shape and can also improve the position of your teeth. Veneers work almost like a false nail, the porcelain covers the whole of the front of the tooth with a thicker section replacing the broken part. 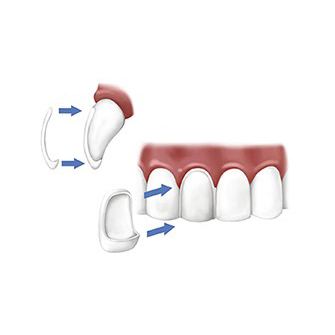 Veneers can be used to close small gaps or correct teeth that may be slightly out of position. A veneer differs to a crown in that they aren’t as destructive to your natural teeth. They make your teeth look natural and healthy. Because they are very thin and are held in place by a special strong bond, very little preparation of the tooth is needed and some types of veneers do not require any preparation at all! – These are known as ‘composite veneers’ – composite veneers are tailor and hand made by a skilled dentist with a special flare for perfection. They can be looked at by the patient before they are set in place. The only downside to them is that they don’t last as long as a porcelain veneers would. However, if you are suitable they are cheaper in cost and much less destructive to your teeth. 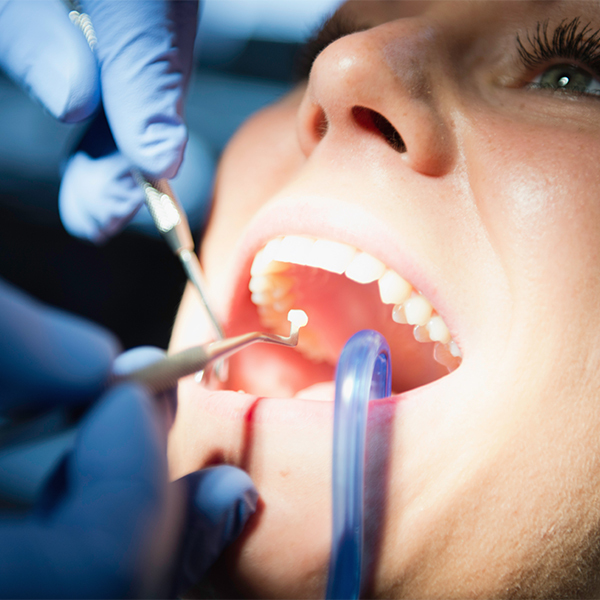 Gone are the days of those traditional silver fillings that EVERYONE knew about! They can often be seen in the jaw when we talk or laugh. Silver (amalgam) fillings are very noticeable in nature and can cause you to feel self-conscious about your smile- they can be unsightly and can also discolour the tooth. Thanks to modern dentistry White Fillings, it now seems that the majority of people are opting for those white composite fillings instead. They can be tailored to match the colour of your existing teeth. Composite fillings work exactly the same as amalgam fillings in that they are used for the same purpose – to repair tooth decay, but they can also be used to hide stains and chips as well as correct other imperfections. Composite fillings are also very strong and durable – they can prevent teeth from breaking off and being overly sensitive and they are available to almost everyone White Fillings. Here at Shine Dental we have found that most dental patients now prefer to have their decayed teeth, or old metal-based silver fillings replaced with a tooth coloured alternative. Nowadays fillings can be natural looking, as well as doing the job they’re meant to do. Many people don’t want silver fillings that show when they laugh or smile because they are more conscious about the way they look. 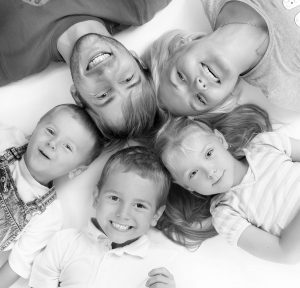 Because many white fillings are classed as a ‘cosmetic’ treatment, you can only have them done privately. So costs can vary quite a lot from dentist to dentist. Costs usually depend on the size and type of white filling used, and the time it takes to carry out the treatment. Costs may also vary from region to region, but Shine Dental will be able to give you an idea of the cost before you agree to treatment. White fillings have always been considered less long lasting than silver amalgam fillings. But there are now new materials that are almost as good as silver amalgam, and these are proving to be very successful. How long a white filling lasts can depend a lot on where it is in your mouth and how heavily your teeth come together when you bite. Your dentist can tell you about how long your fillings should last. Composite build ups can be used to improve the colour, shape, size and texture of teeth to make them more aesthetically pleasing! They can be used to fix minor-medium chips and cracks in teeth. They differ from porcelain veneers/crowns in that they require little if any tooth reduction (drilling) and the treatment can be completed in a single visit! However unlike porcelain veneers, composite veneers can be prone to staining over a long period of time and will more than likely need to be replaced sooner than a porcelain veneer. To create build ups, composite material is applied to the front surfaces of the teeth and sculpted to the desired shape and finish. The great thing about composite build ups is a patient can actually see the shape of the build up before it is set in place! What are composite build ups used for? Composite build ups can be used for treating a wide range of cosmetic dental problems in the same way as porcelain veneers are used. This depends on many factors; the type of composite material used ,the aftercare and habits of the patient (ie if the patient continued to drink a lot of fizzy drinks and grinds their teeth then this would reduce their longevity). On average, Composite veneers can last between 2 – 5 years! A consultation and examination with Dee will determine if you are suitable for composite veneers. It is important that you do not have any active gum disease / inflammation prior to commencing any cosmetic treatment. Before undergoing any veneer procedure the desired colour of the final teeth needs to be decided during a consultation. If a patient wants to have whiter teeth then teeth whitening must be carried out prior to placing the build ups and then they can be colour matched to the surrounding natural teeth. It must be noted that in order to maintain a white smile you may need to top up your teeth whitening periodically. Your teeth will first be thoroughly cleaned to remove any surface build up of plaque and provide a clean surface for the build ups. Your teeth are thoroughly dried to ensure there isn’t any moisture / saliva present that could interfere with the bonding material. The front surfaces of the teeth are then etched with acid to chemically roughen the surface of the teeth which helps the composite material to adhere to your tooth surface. Then, bonding agent (glue) is applied to the surface of the etched teeth, and composite material is added slowly in layers to build up the tooth. A repeated process of addition, removal and sculpting of composite martial followed by polishing is used to create the final build up!